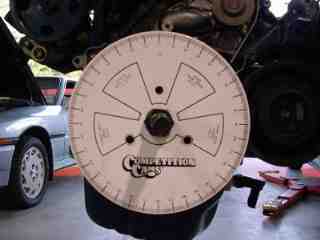 All figures are in crank degrees at 1 mm lift. So, in this configuration, it appears I have 17 degrees of overlap.. I wish I had the figures for a bone-stock 3S-GTE, so if you have these, please email them to me. 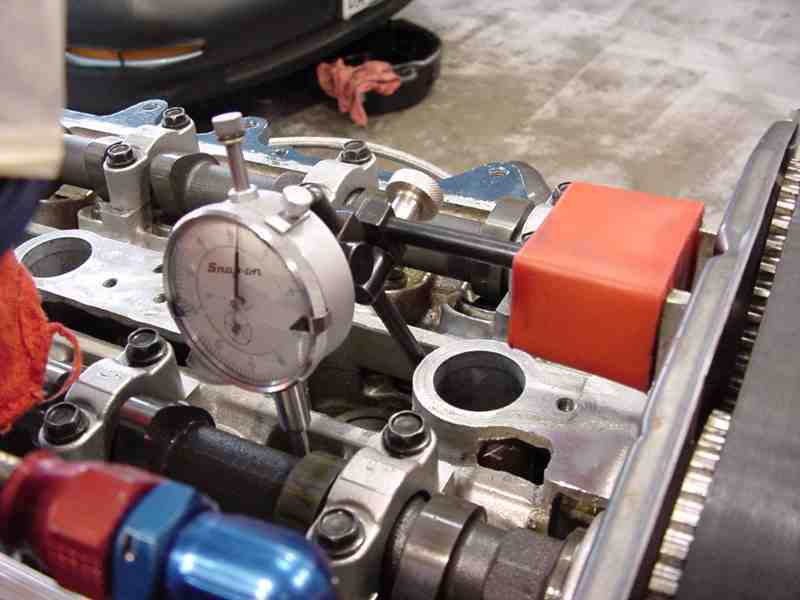 On the dyno, an additional 25 whp was gained by retarding the exhaust cam 6 degrees. Details. 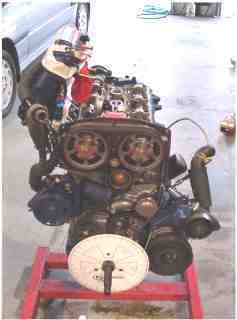 In order to make the most amount of power from an engine, several items must be tuned, such as fuel, timing, and the cams. The Shuttle's 3S-GTE is running HKS 272 cams (specs) which are installed with HKS adjustable cam gears. While rebuilding the engine, I installed the cams "straight-up", meaning neither advanced or retarded. For those unfamiliar with how cams can be advance or retarded, or what these terms mean, consider that if a valve opens before it is supposed to, the cam that's actuating that particular valve is advanced. The opposite is also true in that if a valve starts opening after it's supposed to already have started opening, the cam actuating that particular valve is retarded. Back to the Shuttle's engine.... Given the fact that both the head and block were each cut .005" and I'm using an HKS 1.6 mm head gasket (stock gasket thickness is 1.0 mm), installing the cams straight-up doesn't mean they are actually "straight-up". 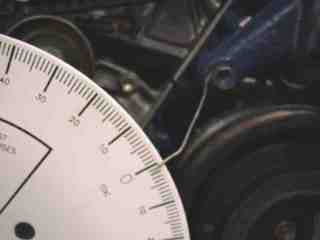 As a result, the only method to determine where the cams are in relation to the crank is to degree them. 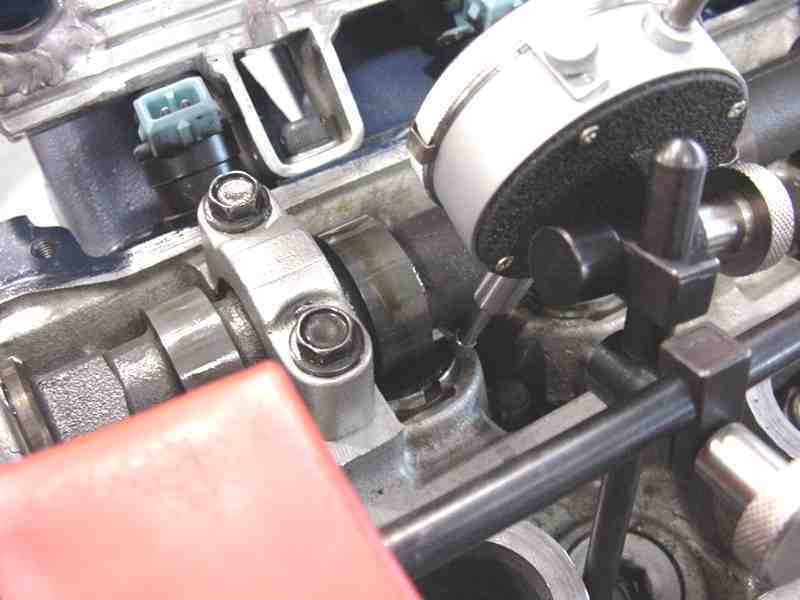 In fact, degreeing cams is the only method used to determine the precise occurrence of the valve movements. 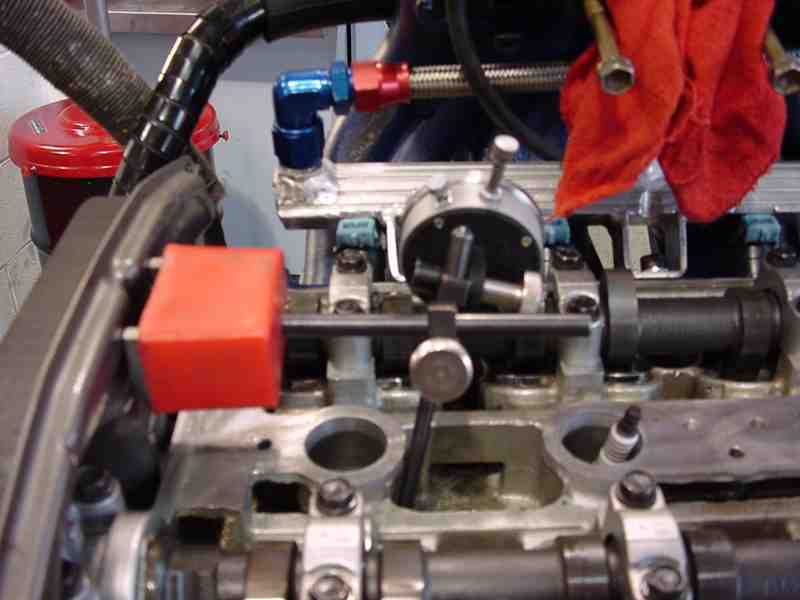 Degreeing the cams is not particularly difficult if it is performed while the engine is out of the car. However, degreeing a cam on an engine that's in the car is a complete PITA! So, do yourself a favor and degree the cams with the engine out of the car and on a stand. How to Degree a Cam. At some point, I may spend the time to write the details of how to degree a cam. Essentially, a degree wheel is bolted to the crank and a dial indicator is used atop the valves to denote when the valve has opened 1 mm and is also within 1 mm of closing. Readings are then taken from the degree wheel. Some calculations are made based upon those reading to determine the lobe centerline (typically the point at maximum valve lift). The cams are then either advanced or retarded to force lobe centerline to occur at a particular position in relation to the crank. Admittedly, this is a gross over-simplification. So, if you're not very mechanically inclined and understand what I've written, then I recommend you seek the advice of a competent custom engine builder.